Improve technology to make it easier to work across three hospital sites. A further £28 million will be invested in additional technology and facilities across all three sites. The current cost of our NHS in mid and south Essex, of which the largest spend is on hospital care, is much greater than the funding available. In 2016/17, this created an overspend of £99 million. 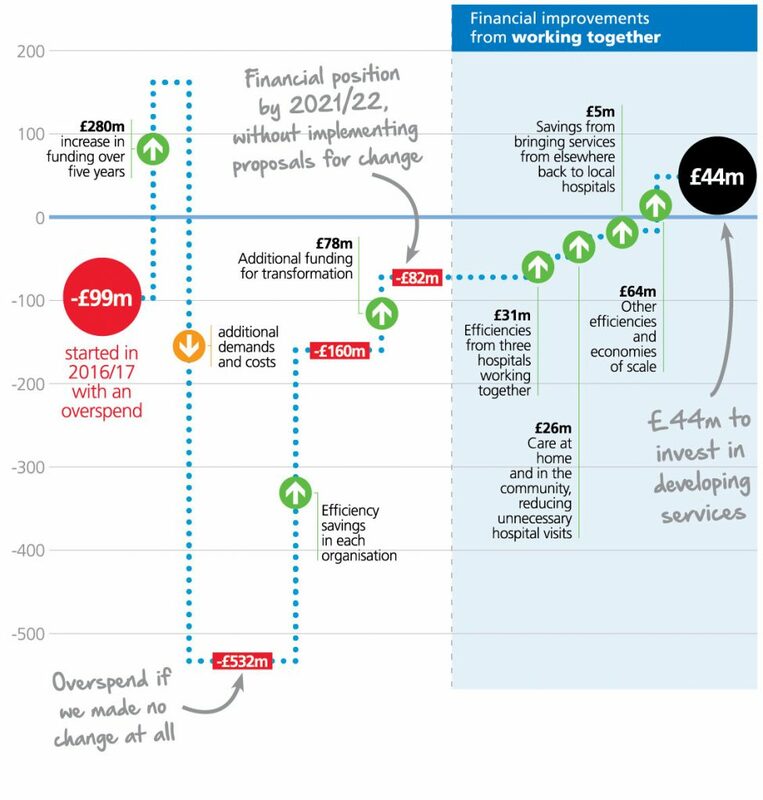 If we made no change at all over the next five years, the additional demand for health care could increase the overspend to over £500 million by the year 2021/22.